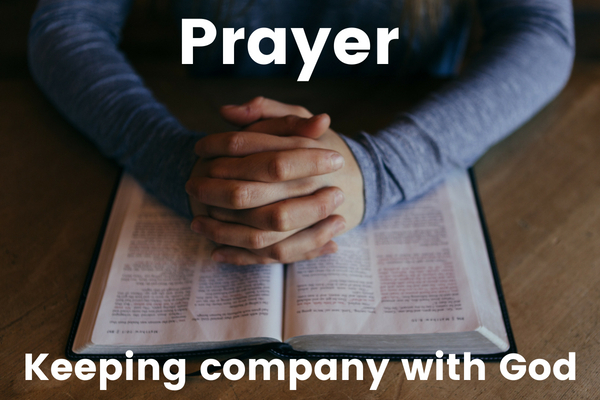 This summer we are going to be looking at prayer in our morning services at Sunnyside and Bourne End. We are going to be getting practical and thinking about some of the whys, hows and whats of prayer so that we can become better at it. There will be an opportunity to meet together at the Vicarage on Tuesdays in August (2pm-4pm or 8pm-10pm) to discuss prayer further. We talk about prayer a lot but what is it? There are different types of prayer including praise, thanksgiving, confession and intercession. At heart though, prayer is about conversation with God, a conversation that is on-going and involves listening and talking. We will use King David’s great prayer in response to God’s promises to him to help us deepen our understanding of what prayer is. The simple answer to this questions is that Jesus assumes we will: ‘when you pray’ he says (Matt 6.5). Prayer is something that Jesus did and we are called to follow his example. At the heart of the Christian life is a relationship with God and like all relationships we need to spend time with the other person if we want that relationship to flourish. Prayer is vital if we want to grow nearer to God and to become more like Jesus. There are different ways to pray but the important thing to remember is that we are called to pray as we can, not as we can’t. It is good to develop some healthy habits if we want to become better at prayer and it is helpful to establish a rhythm of prayer. We will ask the Lord’s Prayer to teach us how we should pray. One of the jobs of the Holy Spirit is to teach us to pray. Christians have always prayed using the Bible which contains some great prayers. Jesus prayed using the Psalms, that is often a good place for us to start too. We will reflect on Nehemiah’s prayer when he heard that Jerusalem was in ruins and ask how it helps us understand what we should pray. The Bible teaches us that God answers our prayers but how about those times when he does not seem to? In the Lord’s Prayer we pray ‘your will be done’; this was also Jesus’ prayer in the Garden of Gethsemane. As Jesus demonstrates, prayer often changes us: it brings our will in line with God’s and we find that we are the answers to our own prayers.